Hair – worn long, worn short, worn wavy or in braids – is the subject of this funny and uplifting dance theatre performance. With a sizzling soundtrack of Ghanaian pop music, join stylists Linda and Riyah who will take you on a hair journey that will have you laughing out loud. 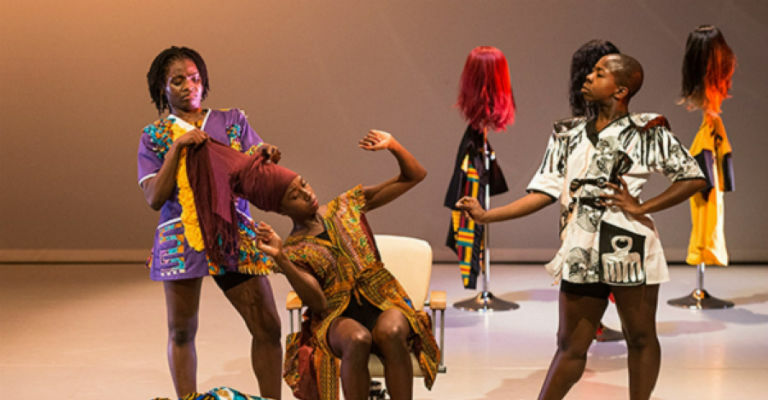 The Head Wrap Diaries is an immersive-interactive dance theatre production that uses comedy to explore, women, beauty, hair and culture. Told through the stories of three female characters we explore community, heritage, womanhood and friendship. This is not a ‘Natural verses Weaves’ it is a celebration of versatility and diversity.